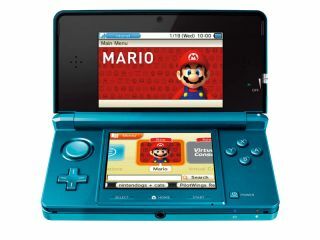 Nintendo is not going to let those handy with a screwdriver get away with installing tech that will allow users to run unofficial (usually pirated) games on the Nintendo 3DS. Literally hours after the Nintendo 3DS went on sale in Japan, one YouTube user posted a video showing how he had hacked the device to use an R4 card which allowed his 3DS to play non-Nintendo-approved games. Not cool, says Nintendo. According to one Japanese retailer, the company may send a firmware update to the console to possibly kill it completely if it spots that you've used a flash card. "In case if you use equipment which is illegal or unapproved by Nintendo or if you do customisation which is unapproved by Nintendo, there is a possibility that Nintendo 3DS become non bootable by system update." "We do not discuss product security details (for obvious reasons), nor can we discuss the details of counter-measures available in the Nintendo 3DS system. "Nintendo 3DS has the most up-to-date technology. The security has been designed to protect both the creative works in the software and to protect the Nintendo 3DS hardware system itself." Doesn't sound like it's worth the risk to us. Plus it's illegal. Steer clear.